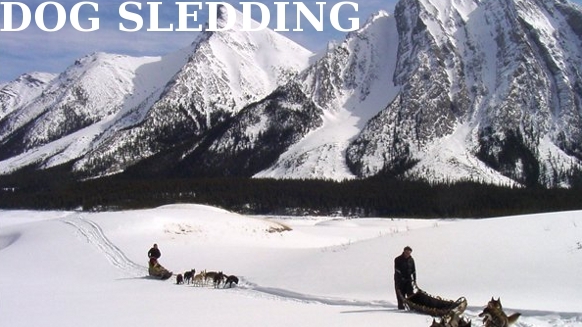 BANFF, ALBERTA, Canada – For a true Canadian Rockies adventure that will inspire you with breathtaking scenery, join our Snowy Owl Sled Dog tours in Banff National Park. Let our team of huskies take you to some of the most incredible sections of the park as you enjoy a traditional Canadian pastime. Half way through our journey we’ll sit by a cozy campfire, where we’ll tell stories and enjoy a traditional native Canadian lunch, complete with hot beverages and our famous “mystery cookies.” This allows our pups to take a much needed break from all that mushing. Along the way we’ll get a rare chance to view the unique wildlife of Banff National Park, including elk, moose, white tail deer, mule deer, lynx, cougar and even the elusive grey wolf. Make sure to pack your camera, as we guarantee at least a roll or two of spectacular photos. Spirit of the Dog Society Dog Sled Tours leave from our trail head in the Spray Lakes at 9am and return at 5pm. The trail length is approximately 45 km. Ask about our Exclusive Signature packages. Gift certificates are available. Contact us for more information.